Discover the beauty of Corsica aboard the m/y 65, Sarnico's new flagship. It is a sports cruiser that offers the same exclusive top quality finish and high comfort levels for which Sarnico is already well known. The motoryacht Sarnico 65 has been designed by Nuvolari & Lenard who have conceived a modern style boat: available in both soft and hard top configurations; with three large cabins and crew quarters, it is definitely one of the most spacious in its category. 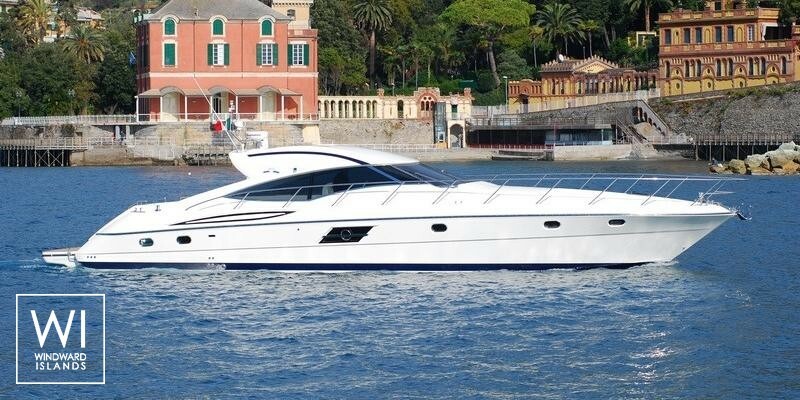 The hull is typical Sarnico style, with a very sharp entry at the bow and "V" aft, providing excellent performance and a particularly calm effect in choppy seas; the engines are located amidships with direct drive installation for optimum efficiency and weight distribution. 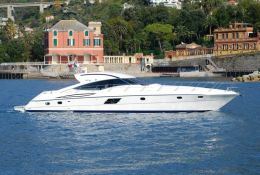 This motoryacht is available for yacht charter with a base price of 23 490 € (approximatly 26 491 $).